ZI Complete for HubSpot is an additional product offering that is set up and configured within the Admin Portal of ZoomInfo Business Edition. With ZI Complete for HubSpot, you will be powered by real-time Contact and Company enrichment. As net new contacts and companies are created in HubSpot, these records will be automatically enriched with ZoomInfo’s data. By filling in the gaps using direct dials, email addresses, and detailed information, such as background information and company firmographics, you can improve your connect rate with leads and have more meaningful conversations. For more information on this new product offering, please reach out to your dedicated Account Manager. Users can now tag/untag up to 5000 search results at once, and we've added the tagging functionality in Target Accounts. To learn more, check out our full tutorial on tagging! 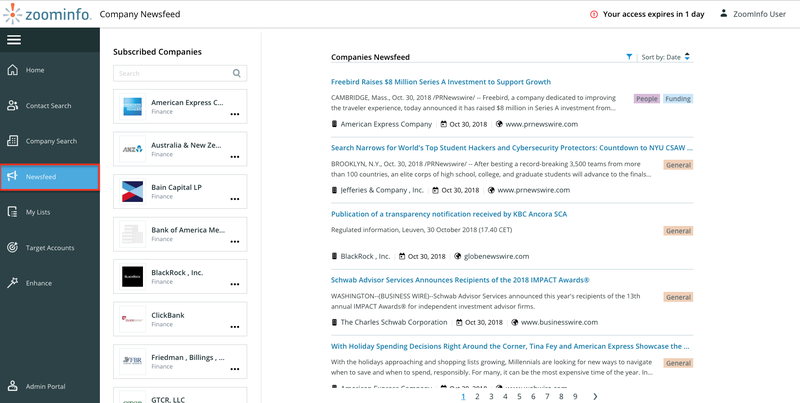 You now have the ability to subscribe to companies and follow their newsfeed for articles that we've been able to capture on the web mentioning them! News articles have been broken up into 5 categories: General, Funding, People, Product, and Mergers & Acquisitions. To learn how to subscribe to companies and follow their newsfeed, visit our Subscribing to Companies and Company Newsfeed articles! Company Hierarchy breakdown in Company Profiles! We've restructured the Mergers & Acquisitions section in Company Profiles to reflect a clear hierarchy between Ultimate Parent, Parent, Acquisitions, & Subsidiaries. 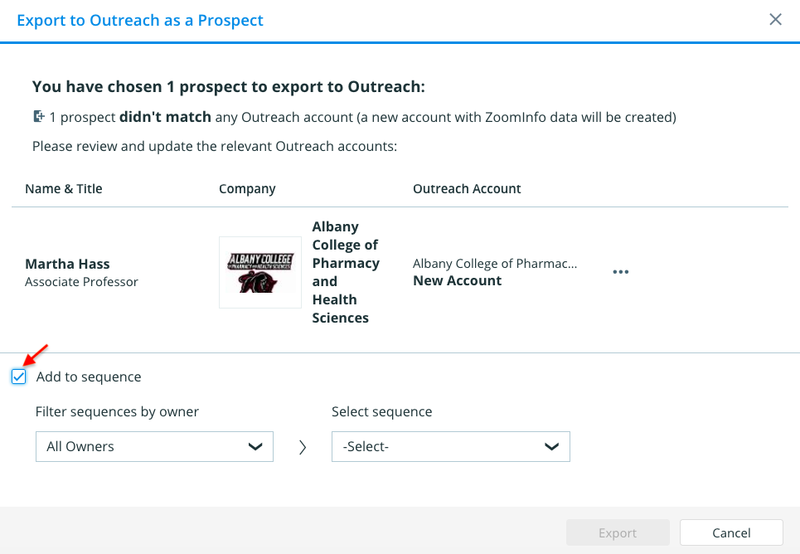 The ability to export contacts directly into a sequence (Outreach) or cadence (SalesLoft) has been added to the platform! Within the export workflow, there's now a box to add them to a cadence or sequence. Once this box is checked, we'll pull the owner and sequence/cadence information directly from your connected system to select and export in to from ZoomInfo. Note: you cannot add new sequences/cadences from this workflow, you must choose an existing one. 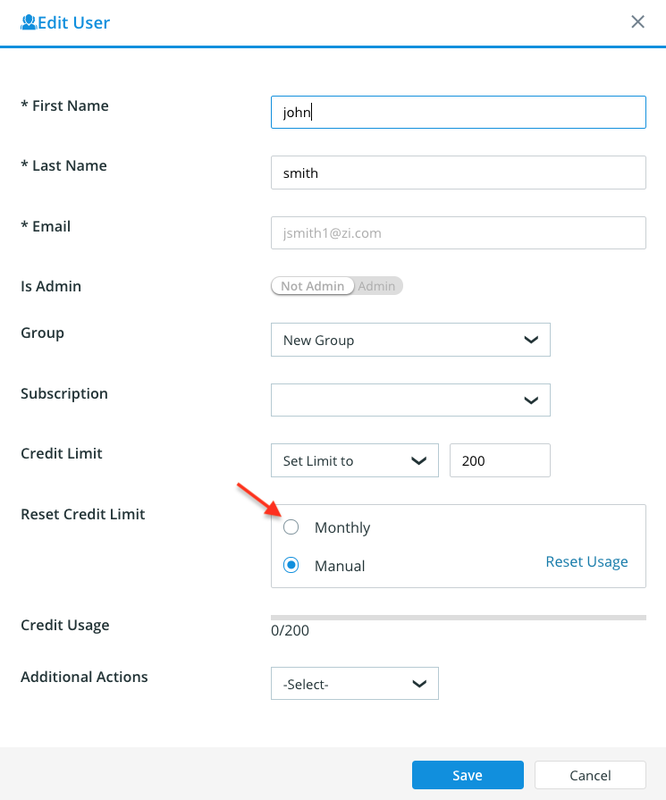 Client Admins can now set credit limits that reset every month for all users and turn on/off integrations access all within the Admin Portal. Note: all integrations are defaulted to be toggled on except for Dynamics. 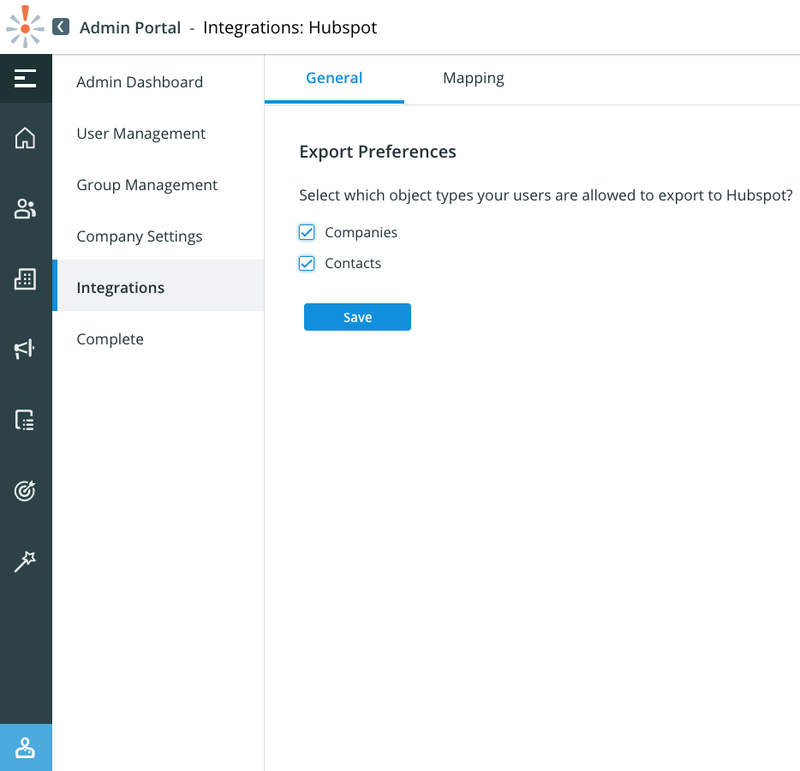 Admins can now configure exporting permissions for users and custom mapping for their connected SalesLoft, Outreach, HubSpot, & Dynamics environments. 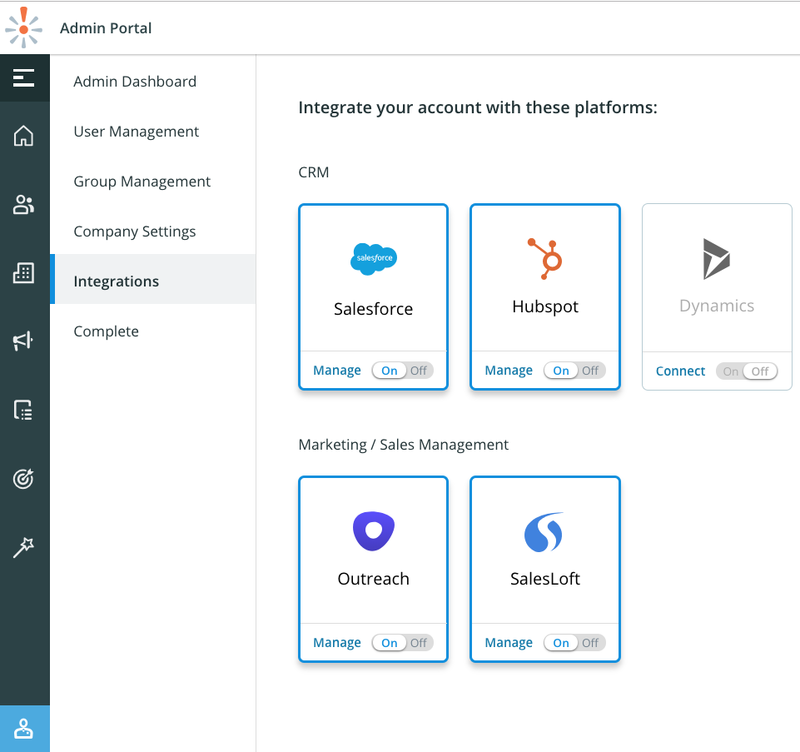 These can be done within the Admin Portal, and to find how to do this for your connected integration, visit our Setting up Integrations page. 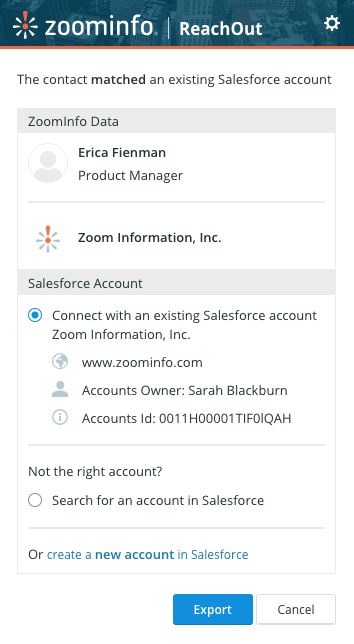 You can now use ReachOut within your connected integration to quickly see if the information that you have is up to date or select specific fields to update. To learn more about field by field updates, visit our ReachOut page. Previously, when exporting contacts to Salesforce, SalesLoft, and Outreach, ReachOut would expand to the 80% view to confirm the account to export the contact to. We've improved this workflow to be able to confirm the account right within the 20% view of ReachOut. 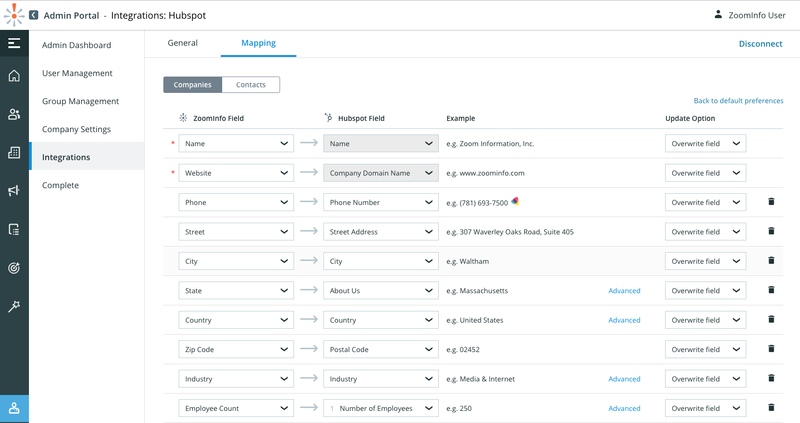 Company is defunct is now mappable in ZI Clean for Salesforce, allowing you to flag companies that we've identified as out of business. Parent & Ultimate Parent Company Names & ID's are now configurable for ZISF Plugin, ZISF Clean, and ZISF Complete! We've renamed these tabs in Salesforce to make them easier to find/identify as the ZISF Clean dashboards.